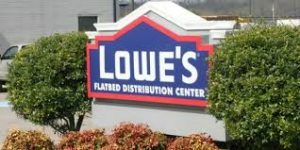 Lowes Relabels 15 Distribution Centers to Support WMS Upgrade | ID Label Inc.
ID Label is proud to have been a Lowe’s partner since 2004, supplying a range of custom-engineered warehouse labels, signs and installation services for dozens of distribution centers across North America. Founded with a single hardware store in 1946, Lowe’s today serves more than 17 million customers a week in the United States, Canada and Mexico. The company and its related businesses operate or service more than 2,370 home improvement and hardware stores and employ over 290,000 people. To meet the complex distribution requirements of this massive operation, Lowes has amassed an advanced logistics network that includes dozens of regional, specialty and flatbed distribution centers, as well as coastal holding and transload facilities. 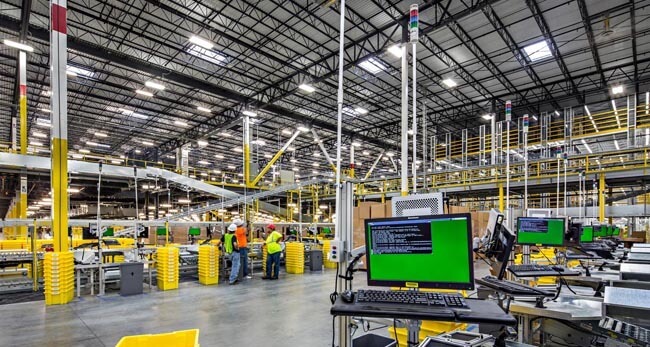 In 2016, Lowes began the complex, 18-month task of upgrading its warehouse management system (WMS) for its network of 15 distribution centers that support its flatbed products. This includes lumber, plywood, boards and other building materials that are transported by flatbed trailers to Lowe’s stores. Its previous WMS was more than 10 years old and no longer met the company’s dynamic needs. Inventory management, for instance, was limited to a labor-intensive process that required manual data entry to accommodate picking, shipping and custom store orders. The new WMS meant that all 15 flatbed DCs required new, durable rack location labels to accommodate the upgraded inventory management system. As it has since 2004, Lowe’s turned to ID Label. Planning a New Construction or Relabeling Project? Consult with ID Label to understand your options. We’re passionate about helping our clients find the best solutions to keep their businesses moving forward. ID Label’s warehousing products – from rack and LPN labels to signs and installation services – have been tested and used by great companies like Lowe’s in operations around the globe for more than 20 years. That’s extensive experience and knowledge we can bring to your specific requirements. Interested in learning more? Contact us today to request product samples or a free consultation.